Tickets to this event are now SOLD OUT. Tickets are still being sold to our second Chef Showdown dinner on April 25. Book your seats now! 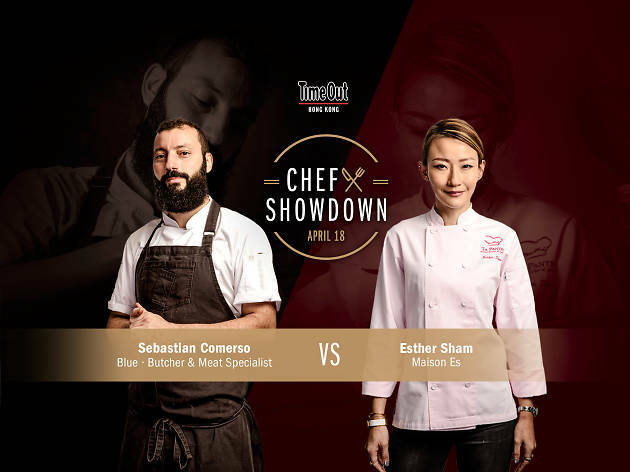 Time Out Hong Kong’s Chef Showdown kicks off in less than two weeks at Blue · Butcher & Meat Specialist. 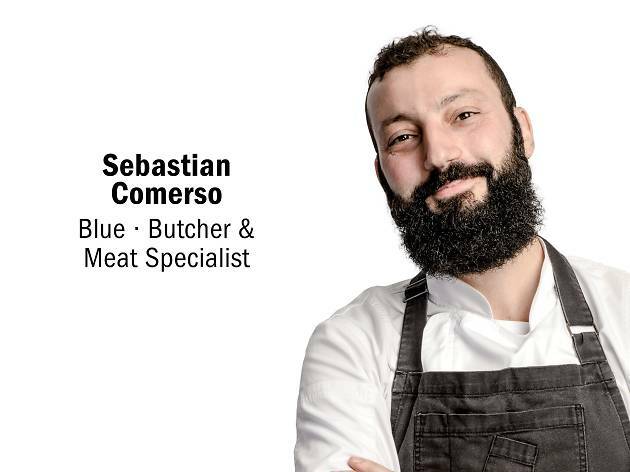 The inaugural dinner will be hosted by Blue’s resident chef Sebastian Comerso and guest chef Esther Sham from Maison Es. 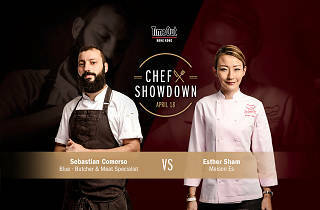 The two chefs boast very different styles in the kitchen and will each prepare a starter and a main during their cook-off, which you can sample and vote for. For a taste of what's in store, here's everything you should know about these two talented chefs, including the details for the exclusive menu they've prepared for April 18. Dinner includes welcome drinks, five exclusive dishes, cocktails by Campari and plenty of craft beers provided by Goose Island Brewery – all for $785 per person. You'll also get a chance to win awesome lucky draw prizes, including hampers from WOAW Store and a one-night staycation at the Grand Hyatt Hong Kong. If you haven't already, book now and we'll see you at dinner. Comerso knows his way around meats and is especially adept at preparing statement steaks – like the 8oz New Zealand tenderloin pictured below – that's served at Blue. 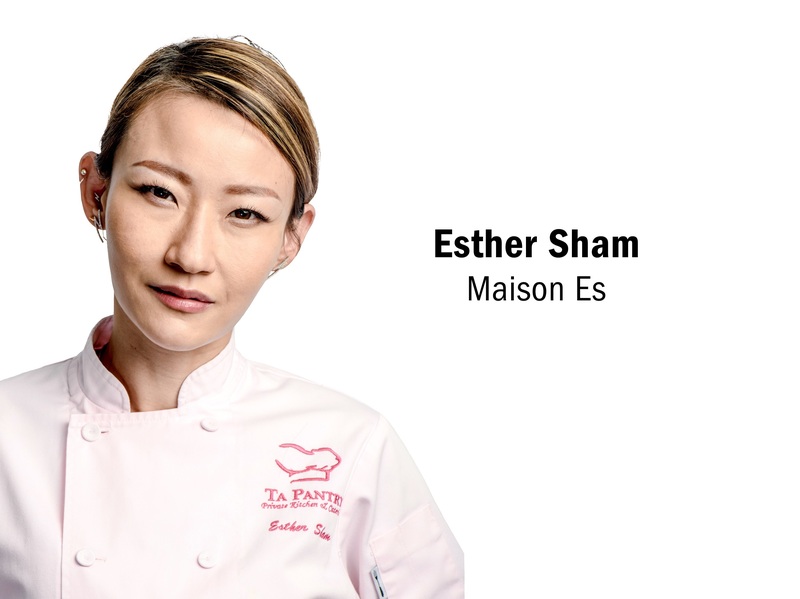 Sham's cooking is an elegant expression of her Chinese heritage, American upbringing and French culinary training. Expect to taste multiple culinary traditions in her dishes, such as the foie gras tamago custard below.